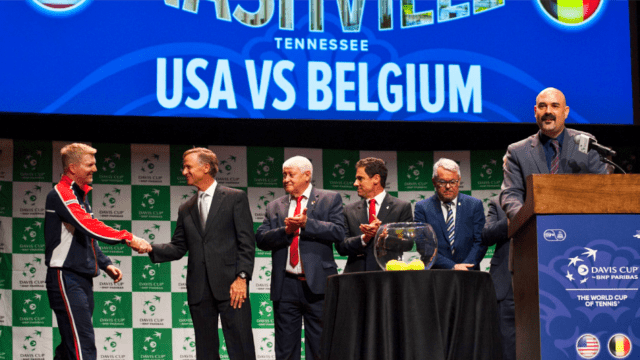 For the first time since 1978, Davis Cup Tennis returned to Nashville April 6-8 at Belmont University’s Curb Event Center. 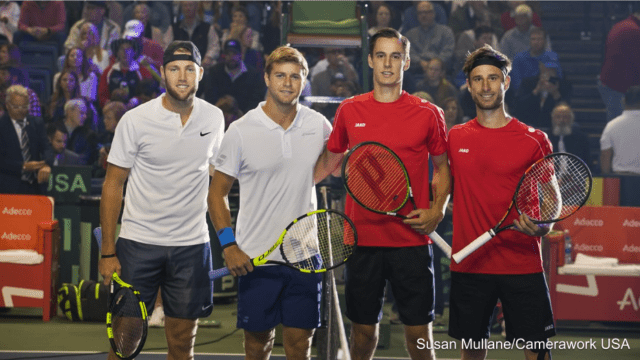 The stakes were high, as the top American men in the sport battled for a spot in the 2018 World Group Semifinals against Belgium’s tennis elite. Since its inception in 1900, Davis Cup has become the world’s largest annual international team competition in sport. Over 130 nations compete every year. Davis Cup embodies the Olympic-style excitement of “nation vs nation” competition, exuding an electric atmosphere unrivaled in the game. 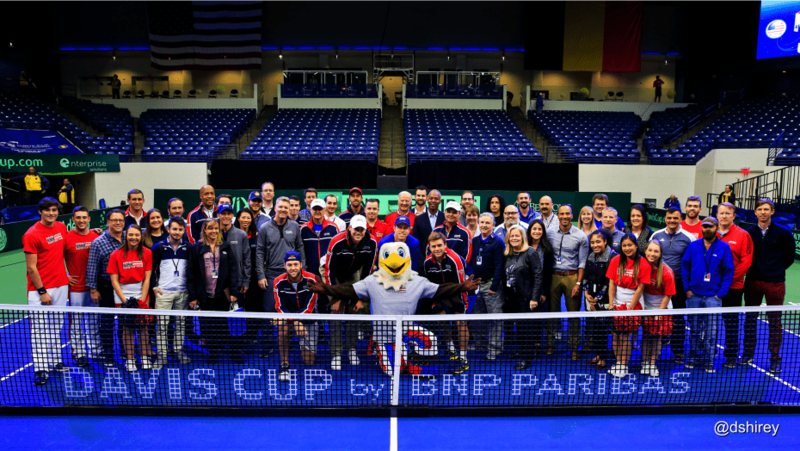 For avid fans and tennis newcomers, Davis Cup weekends are entertaining “must-experience” events for the entire family. 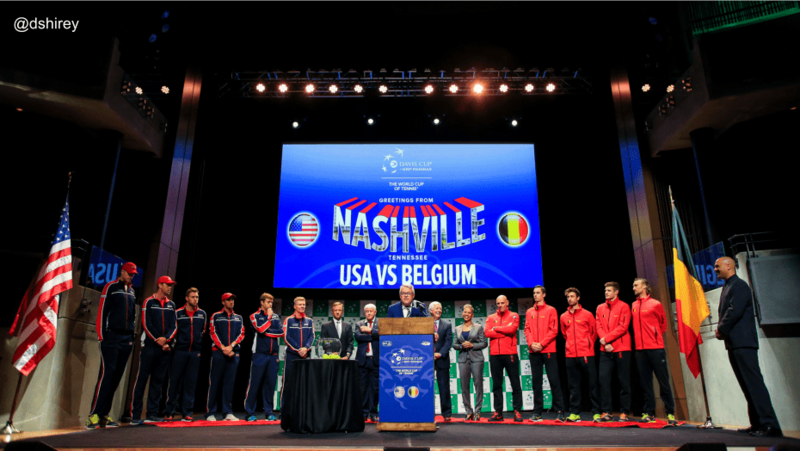 April’s Tie in Nashville was a World Group Quarterfinal, and featured five matches over the 3-day weekend. April 5th’s Draw Ceremony at the Country Music Hall of Fame determined the opponents for all three days of competition. 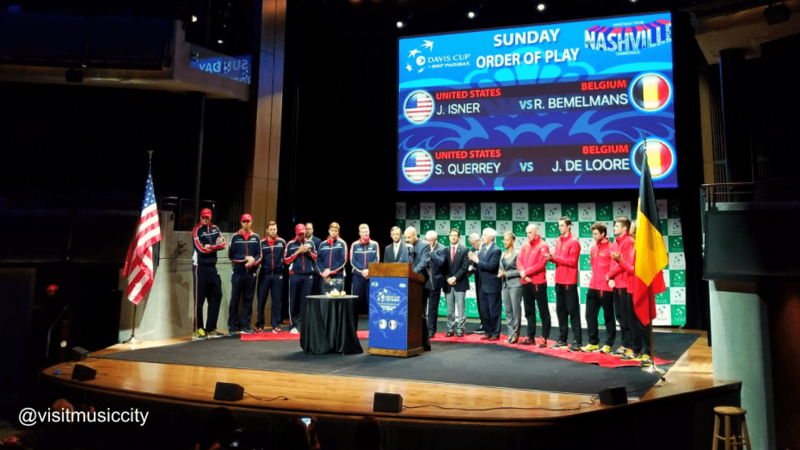 On Friday – following the Opening Ceremony at 3:30p – John Isner and Sam Querrey both won their Singles matches, giving Team USA a 2-0 lead heading into the weekend’s Doubles match. 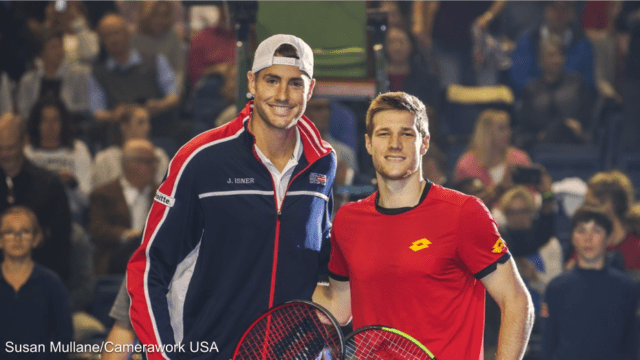 On Saturday, Jack Sock teamed with Ryan Harrison to clinch the victory for Team USA. With the Tie decided, both teams chose to play just one Singles match on Sunday. An inconsequential contest, Captain Jim Courier replaced John Isner with Ryan Harrison, who defeated Ruben Bemelmans in straight sets. For over 30-minutes following Ryan’s victory, Team USA took the court to sign autographs for Sunday’s fans in attendance. 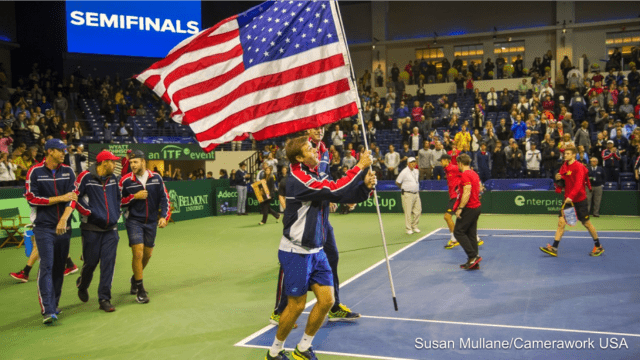 Team USA will travel to Croatia this September for the World Group Semifinals, where they’ll compete for a spot in the 2018 Davis Cup Final. If victorious, it will be the US Davis Cup Team’s first Final appearance since capturing the title in 2007. In the other half of the draw this weekend, David Ferrer lifted Spain into the Semifinals with a deciding rubber defeat of Germany’s Philipp Kohlschreiber. Spain will face France in September, after Lucas Pouille clinched the Tie in Italy, defeating Fabio Fognini in four sets. 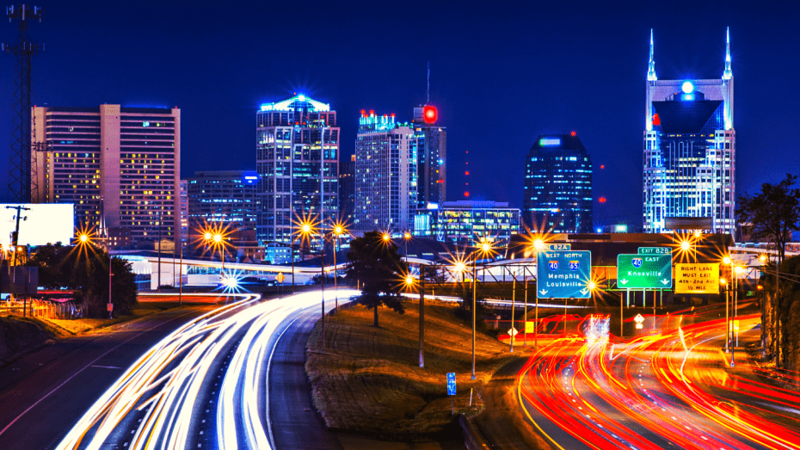 Just wanted to take a moment to say “THANK YOU” for a fantastic job, as always, this weekend in Nashville. 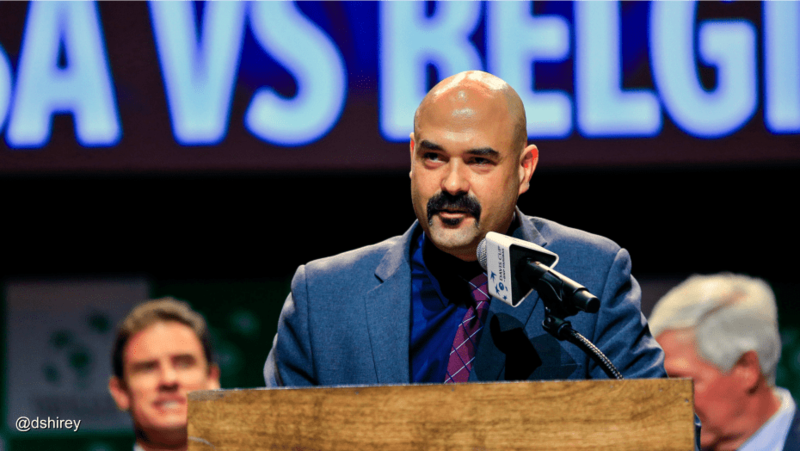 From the new Meet & Greet to the Draw to the on-court Net Generation programming to the announcing throughout the weekend, you did not disappoint. You were always at the ready with the appropriate tone and intonation. Thanks for being part of TEAM USA!!! 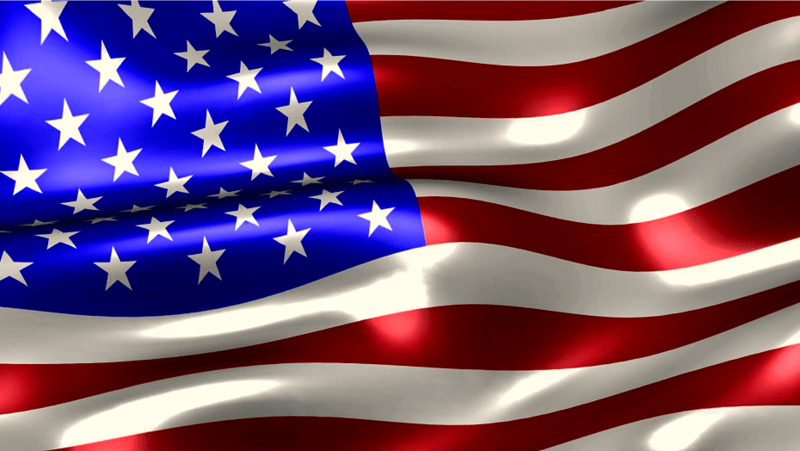 Since 1900, the Americans have won the Davis Cup title 32-times. However, Team USA hasn’t reached the Davis Cup Final since capturing the 2007 title. Over the past 10-years, its best runs came in 2008 and 2012 – where on both occasions, the U.S. fell to Spain the World Group Semifinals. Team USA reached the 2018 World Group Quarterfinals with a 3-1 1st-Round road victory over Serbia on indoor-clay in the southern city of Nis. It was the United States’ first defeat of the Serbs, after defeats in Belgrade in 2010’s 1st-Round and Boise, Idaho in 2013’s Quarterfinals. Sam Querrey overcame World #88 Laslo Djere in four-sets, after dropping the first in a tie-break. 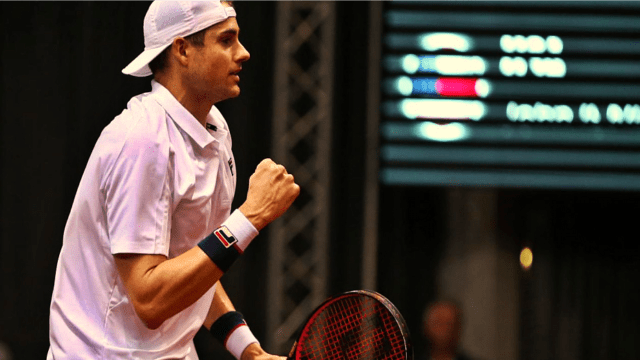 John Isner then won a brutal 5-setter over World #84 Dusan Lajovic, earning the victory 7-4 in the deciding set’s tie-break. On Saturday, Ryan Harrison and Steve Johnson teamed to clinch the Tie in four-sets. Steve Johnson (at the time World #50) then fell in straight-sets to World #230 Pedja Krstin in Sunday’s only dead rubber. The fifth match wasn’t played. The Belgians have reached the Davis Cup Final two out of the past three years. Last November, they were defeated by France in a Final that came down to the deciding rubber. David Goffin won both of his rubbers over Lucas Pouille and Jo-Wilfried Tsonga. Pouille then clinched the Davis Cup title for France with a straight-sets victory over Steve Darcis, giving-up only four games in the deciding match. Back in February’s 1st-Round, Belgium advanced to the Quarterfinals with a 3-2 home victory over Hungary. 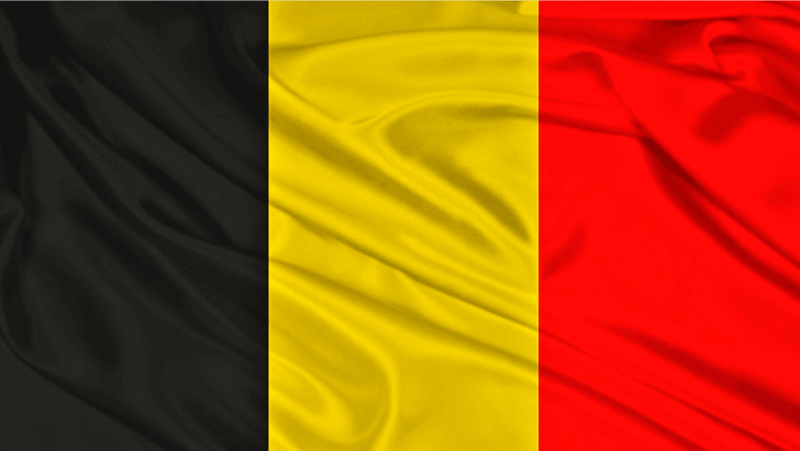 Ruben Bemelmans and David Goffin lifted the Belgians to a 2-0 lead after the first day of singles competition, but the Hungarians kept the Tie alive with a 5th-set doubles victory on Saturday. 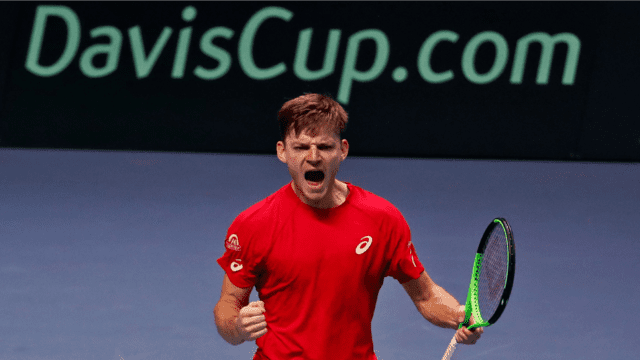 On Sunday, Goffin clinched the win with a 4-set defeat of Hungary’s Marton Fucsovics. Hungary’s Zsombor Piros (World #521) then defeated Julien Cagnina (World #248) in the weekend’s final dead rubber.